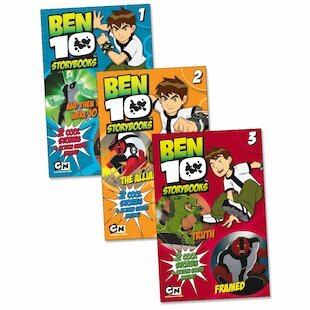 A bumper bag of storming story action from Ben 10! With a double-dose of battle fun in each book, those monsters are in for a pounding! 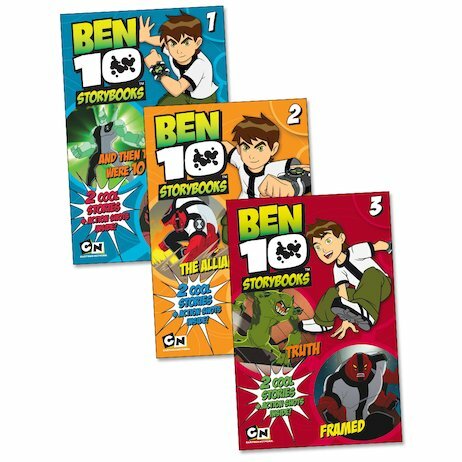 From Framed to The Alliance, each double-duty book contains two stories packed with slamming hero tricks and morphing alien fun, as well as cool picture shots. There are alien attacks, bombs to defuse and villains to foil – as well as some surprising secrets to discover. So step out at Ben’s side and be part of the story. Aliens! Action! Excitement! It’s just what heroes do!